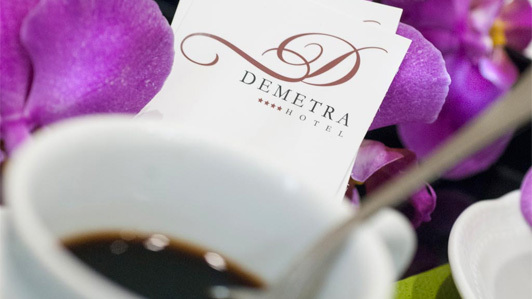 The Demetra, elegant Hotel in Rome near the Santa Maria Maggiore Cathedral, welcomes its guests in an ancient building that nowadays hosts a modern and comfortable structure. 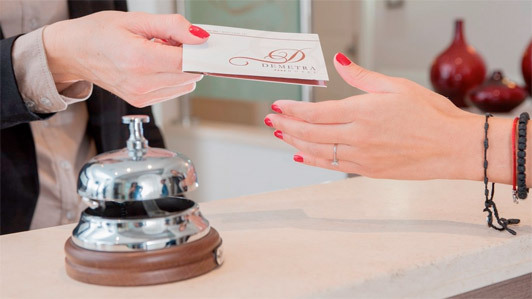 You will be greeted by an experienced professional staff that will gladly give you useful advice to enhance your vacations, making for a relaxing, pleasant and overall memorable experience. 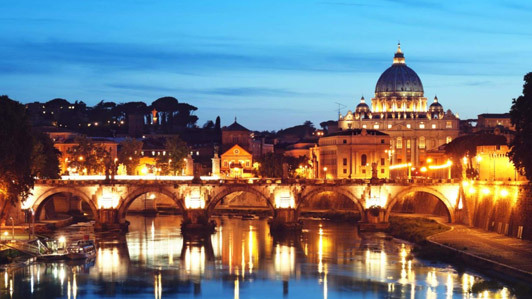 The team at the reception speaks multiple languages and will assist visitors at every stage of their stay, taking care of each detail to help create an unforgettable holiday in Rome by providing convenient information on the numerous opportunities the city has to offer. All requests will be immediately taken into account and quickly fulfilled by our fine Hotel in Rome near the urban center. 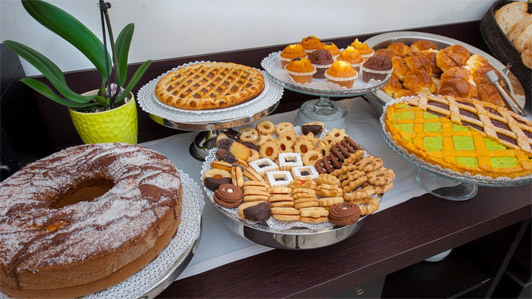 Our welcoming Hotel will inform you about the finest restaurants, clubs and bars in the neighboring zone. Art, culture and entertainment enthusiasts can count on our booking services that will enable them to enjoy engaging experiences near the premises of our accommodating Hotel by the Santa Maria Church area. Attractions such as the Baths of Diocletian, the Cathedral, St. Cecily and many more are near our refined Hotel, thus easily reached within minutes.